Highlands County (pop. 98,786), north of Glades County, has more than 100 lakes. It is Florida’s third-largest producer of citrus. The county’s largest lake is Lake Istokpoga, the fifth-largest lake in Florida. It has an average depth of only four feet. Just west of Lake Istokpoga is Lake June in Winter. It was renamed (from Lake Stearns) by an early developer of the area who had a summer home on a Lake June in New York state. 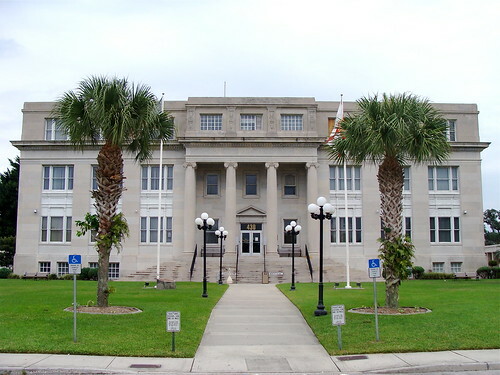 The county seat of Highlands County is the city of Sebring (pop. 10,491). 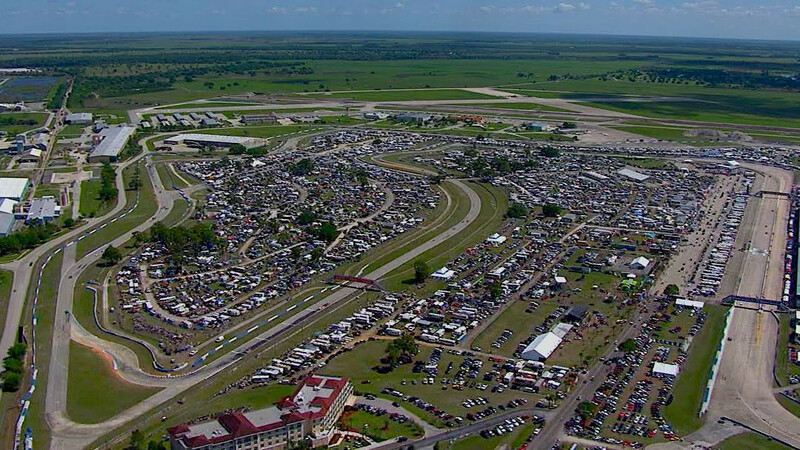 Sebring is best known as the home of the Sebring International Raceway, the site of the annual 12 Hours of Sebring endurance race for sports cars. The track opened in 1950. Sebring is also known as the “City on the Circle,” because the center of its downtown is on two concentric circle roads. 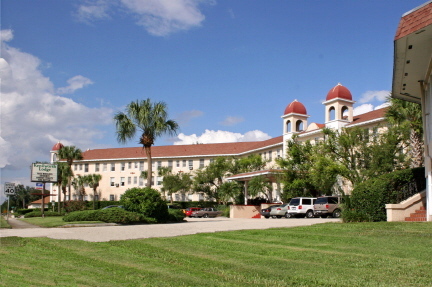 The Kenilworth Lodge is a resort hotel in Sebring that’s been in operation since 1916. Harder Hall, a resort hotel named for developers Lewis Harder and Vincent Hall, opened in 1927. It has been unoccupied since 1982. The Amtrak station in Sebring, built in 1924 by the Seabord Air Line Railway, serves Amtrak’s “Silver Star” and “Silver Meteor” trains. The town of Lake Placid, named after Lake Placid, New York, has 46 murals on the sides of buildings. 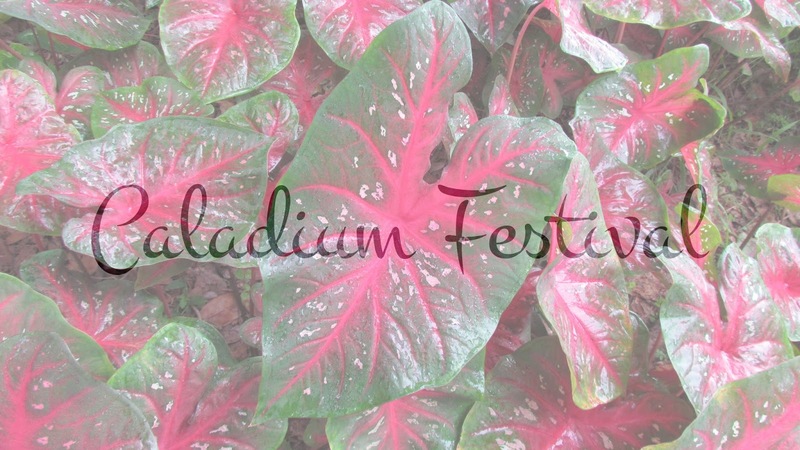 Lake Placid is known as the “Caladium Capital of the World,” because 98 percent of the world’s caladium bulbs come from there. Highlands Hammock State Park, which opened in 1931, was one of Florida’s original state parks. This entry was posted in Florida and tagged caladium, Harder Hall, Highlands County, Highlands Hammock, Kenilworth Lodge, Lake Istokpoga, Lake June in Winter, Sebring. such a shame about the harder hall hotel. I love that cypress swamp boardwalk!